U Value Calculator now available on iOS, Android & Windows phone! November 18, 2015 11:43 am / 2 Comments on U Value Calculator now available on iOS, Android & Windows phone! Finally after months of development and testing, our U value calculator app UValue is released on Apple iOS as well as Android and Windows Phone. Why did we create the app? 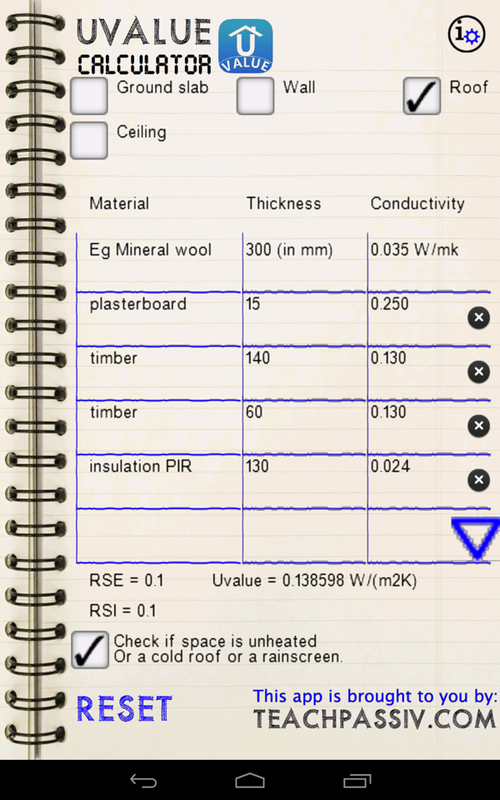 I was looking for a simple U value app that gave the ability of quickly entering data, allowed a quick comparison between different constructions/insulation and supplemented the PHPP U value calculations (the app is not intended to replace PHPP). I found that the app didn’t exist and we (myself and my coding maestro son Conor) decided to fill the gap in the market. The app does not currently take account of thermal bridges, this is going to be addressed in a subsequent version. The app is not supported or endorsed by the Passivhaus Institute, does not replace the U value calculations in PHPP and is for entertainment purposes only e&oe.